For Father’s Day 2017, Amazon had killer deals available on pretty much every single device the company sells that isn’t in the Fire TV line. Every single Kindle was on sale, and all of Amazon’s Alexa smart speakers were discounted as well. Tens of thousands of people took advantage of those special limited-time sales, but perhaps you were on vacation last week and you missed it. The bad news is you won’t find deals that good again anytime soon. But the good news is that Amazon has two semi-secret sales going right now that will still let you save a good amount of money on the Echo Dot and the Amazon Echo. 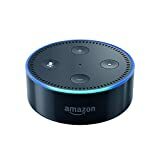 Buy three or more Echo Dots right now from Amazon and use the code DOT3PACK at checkout to save $20 on your purchase, dropping the per-Dot price to just over $43 each. 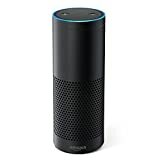 You can also purchase two or more Amazon Echo’s and save $100 if you use the coupon code ECHO2PACK at checkout. The details of these sales won’t show up for everyone on the product pages, but don’t worry because they’ll still work. Grab them while you can.